A High Base Breakout is when a price action within the context of an uptrend pauses at the peak of an up leg and consolidates in a sideways fashion in a narrow range. 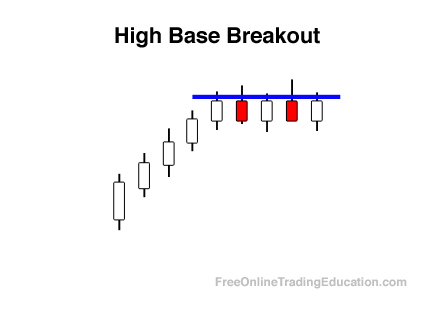 The power of a High Base Breakout can be greater after a powerful upside move due to the possible increase of underlying support. High Base Breakouts can be stronger when the previous swing/pivot high is below a high base due to the possible lack of immediate overhead resistance. 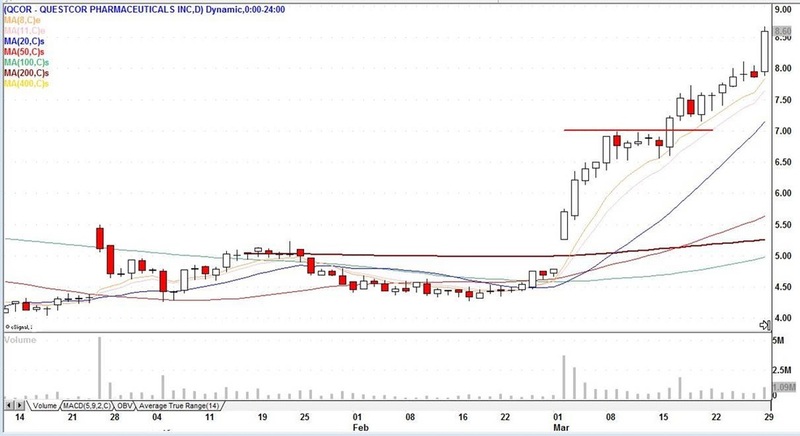 Technical analysts often seek out High Base Breakout patterns for their ability to signal a shift from selling (and/or buying uncertainty) to buying pressure.